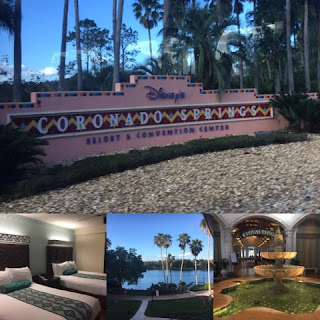 Many of our most recent trips to Walt Disney World have found us at the Hilton Orlando Bonnet Creek thanks to the all of the Hilton Honors points that we have accrued over the years. But on my girls weekend trip for runDisney's Princess Half Marathon weekend, my friend Christine and I decided to stay on property. For a trip with such a short turnaround, the perks of Magical Express and regular transportation to all of the race events made it a smart choice for us. In all honesty, Disney's Coronado Springs Resort was not our first choice. We were hoping to grab a room at Disney's Port Orleans French Quarter, but by the time we got around to booking, the resort was sold out. Keeping with my tradition of liking to stay someplace new each visit, we then opted to stay here. I have to say that, as always, I was impressed with the theming, service, and beauty of the resort. The resort is large featuring several styles of buildings, each connecting with a type of architecture from the Southwest and Central America. We requested a room in the Casitas which was closest to the main building, but a good walk from the main pool. The resort surrounds Lago Dorado which provides a beautiful centerpiece to the entire resort. The main pool, the Dig Site, is centrally located as an island in the center of Lago Dorado. We visited the pool area for about an hour one afternoon, but only enjoyed the hot tub as it was a little chilly and windy for pool time. Upon arrival at the resort, guests enter into the main building which houses registration, guest services, a gift shop, several restaurants, and the Conference Center. Yes, you read that right - Coronado Springs boasts a Conference Center too which makes it perfect for adult travelers which can be a nice change of pace to the often kid-crowded All-Star resorts. The ambiance around the resort is quiet and relaxed - perfection! Rooms at this moderate resort are decorated with subtle Disney touches throughout. As a Conference Center resort, the theming here is much more scaled back than others. One of my favorite features were the dark doors that closed around the sink area and the bathroom. 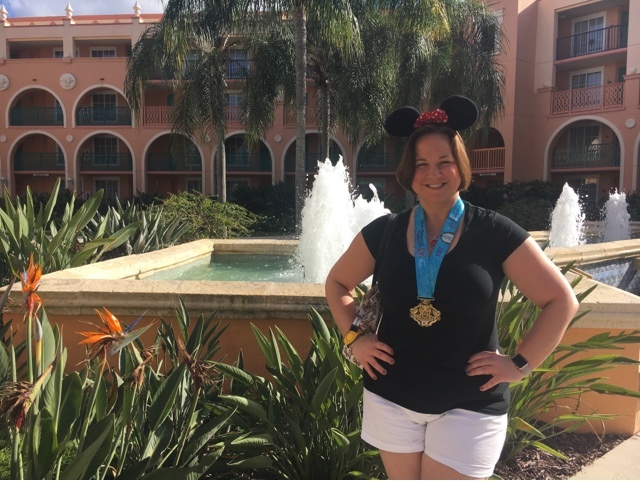 This was especially nice on a runDisney weekend when early mornings mean that we need ample opportunities for naps throughout the day. Transportation around the entire Walt Disney World Resort is available by busses. There are several bus stops around the resort property so that you are never far from a bus ride to the magic! For Princess Half Marathon weekend, charter busses picked up in front of the main building and we never had to wait more than 10 minutes for a bus. Despite the large footprint of the resort itself, it never felt oversized or inconvenient. My favorite afternoon happened to be lying in a chair by the lake and reading for hours on end. Beautiful and peaceful. Overall, I would highly recommend this resort to those seeking a quiet retreat from the hustle and bustle of your Disney vacation. There are several choices to relax whether it's at the pool, the spa, or enjoying one of the many restaurants on property. 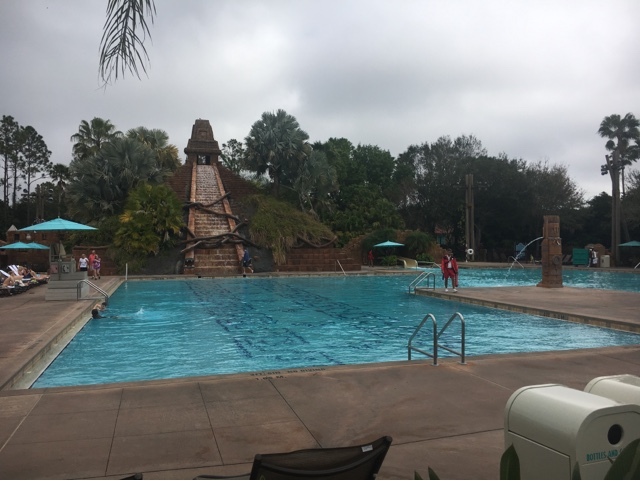 Looking for additional information about Walt Disney World Resorts and reviews of my favorites? Check out more of my thoughts here! What is Running on Pixie Dust? 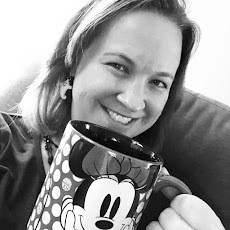 I'm a Maryland girl that always carries a piece of Disney in my heart! I love sharing the magic of Disney with my two boys, my husband, my friends, and all of you. 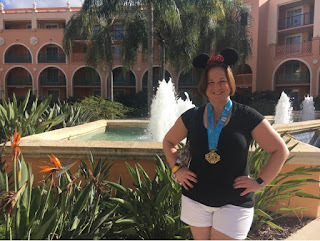 Thanks for stopping by to follow my pixie dusted adventures as a runner, boy mom, and Disney enthusiast! Visit them for vacation deals to Orlando and SoCal. Use code PIXIEDUST to save more money on your vacation packages!